216.8 miles for Ryan Mattingly. Most of you know my story especially if you are here at my site (and didn’t overlook the header). 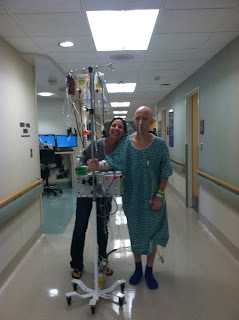 I actually started this blog when my wife was diagnosed with cancer for the 2nd time. I needed a voice and I felt being open about my story might help others to get through their own difficult times. In case you missed the header and/or this is the first post you are reading, my story began in September 2002 when my father was diagnosed with leukemia. He fought for sixteen months but ultimately lost his battle. During his battle, my daughter Isabella passed away at birth and shortly after my father lost his battle, my wife was diagnosed with cancer for the 1st time while pregnant with my son Jaden. These events were very difficult. Just when I would get my footing from one piece of bad news, something else would go horribly wrong. While I miss my father and daughter terribly and while I still sleep with one eye open tied to the cancer that knocked on my family’s door twice, so many good things came out of these dark times. I always use the quote “Strength is born in the deep silence of long suffering hearts” from Arthur Helps to describe my transition from pre Isabella to the person I am today. My hardships defined me. They built me. They led me to endurance sports. They led me to being a #beatcancer warrior where I will battle until my last breath. The led me to teach, motivate and hopefully inspire others which is something I consider a blessing for me much more than I view it as a blessing for those I help. None of these things would exist if I had not lost so much. ·As individuals we all have the ability to change the world and if we, as individuals ban together, changing the world is inevitable. ·Running and endurance sports will change your life. ·Doing things for others is far better than the opposite. ·UCLA > USC (I had to sneak that in……I am sure I just lost a few donations but I found it funny). ·Staring doubt in the face and shoving it aside is one of the best feelings on the planet (coincidentally shoving doubt aside is a big part of running and endurance sports). ·Wherever we find ourselves in life, be it a grand place or a dark place, that is where we are meant to be. We must do our best to savor and learn from every experience for it is a stepping stone to who we become. ·We must live our lives so that our legacy goes on far after we are gone. ·If we are still breathing we have not yet accomplished all we are meant to accomplish. I have no time goals. Finishing all three events is the goal which, for me, has meant a complete change to the way I train and frankly the way I live. It started back in the Spring of 2012 when I started thinking about this next endeavor. Over the years I have had many stress fractures in my shins and feet. I firmly believe these were tied to the way my foot strikes the ground when I run. I am (scratch that….was) a severe heel striker. It was so severe that I believe the impact over the miles was causing the injuries. In looking ahead last Spring, I did not believe I would ever make it to the start of a 50 mile run if I maintained the heel strike so I changed it. It was not easy for me but I started moving to a mid foot strike because it creates so much less impact. Sounds fairly simple but the change wreaked havoc on my body. My knees were not used to the change and I dealt with months of transitional pain. I pushed forward and didn’t give in and ultimately that pain passed. When it did, horrible back pain ensued all just because of the transition. I spent many sessions in a chiropractors office but I did not give in and ultimately it passed. Today I have some severe foot pain when I clear 20 miles but I am trying to work through this too (might make the marathon challenging). Beyond the change to my running gait, I have moved to training by HR and I have completely changed my diet. I will go into detail in another post but I had a horrible HR test that lead to these changes which forced me to slow down and forced me to eat much better. The days of eating a pint of Ben and Jerry’s before bed because my metabolism allowed it are behind me although I have to sneak in half a pint now and then just so I don’t get bored of myself. I am making all of these changes to make sure I get to the start line of each event and cross the finish line of all three culminating with the Ironman next June. My goal for that race…..celebrate successfully raising $15,000, pray like hell to celebrate a healthy Ryan and high five 140.6 kids along the course. Now let me tell you a little bit about Ryan. ·He is 19 years old. 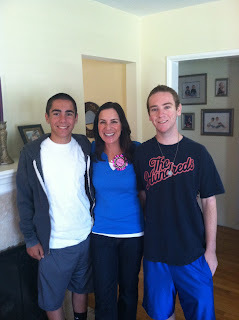 ·Ryan completed his 1st year of college at San Diego State this past May 2012. ·From April until now, Ryan has been admitted to the hospital 12 times. ·Ryan is currently fighting Non Hodgkins Lymphoma instead of attending his 2nd year of college. ·I have never met Ryan! That last bullet might be shocking for some. Even Ryan questioned why I would do all of this for someone I have never met. The answer is easy for me….. It is what we all need to do. Reach out our hand to help someone in need. You see I know Ryan’s Mom and I assure you I will meet Ryan soon enough. I had a chance recently but have been sick and did not want to expose Ryan to anything I might be carrying. I learned this lesson plenty when my Dad was fighting for his own life. You see, Katie Mattingly was on my Summer 2012 Marathon team. We met at an information meeting where I was there to speak on behalf of the marathon team. Katie showed up a ball of energy and I could tell our team would be better off with her than without her. Good souls scream out and Katie is one of the best souls. 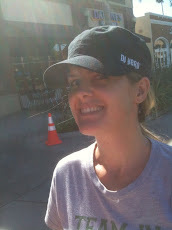 She signed up to be on the team and committed to the San Diego Rock N Roll Half Marathon in June 2012. Katie did an amazing job. She did everything we asked of her and I think the life lessons and messages got through as well. One of these ties to pushing yourself beyond what you think you are capable of which is a message we discuss when I try to convince those signed up for the half marathon to do the full marathon. Do not get me wrong……….I am proud of EVERYONE crossing the finish line. There are plenty of reasons to do the half marathon versus the full but I always tell my teammates this………….if you are signed up for the half ONLY because you doubt your capability of finishing the full…..for the love of God trust me and switch to the full and together lets shatter your perceptions about yourself. Katie listened. She switched and on June 3, 2012, she completed the full marathon in San Diego. A few weeks before race day, though, Katie was very emotional at our Sunday practice. Truthfully, this isn’t that uncommon as race day gets closer but something was off and I reached out to Katie to see what was wrong. 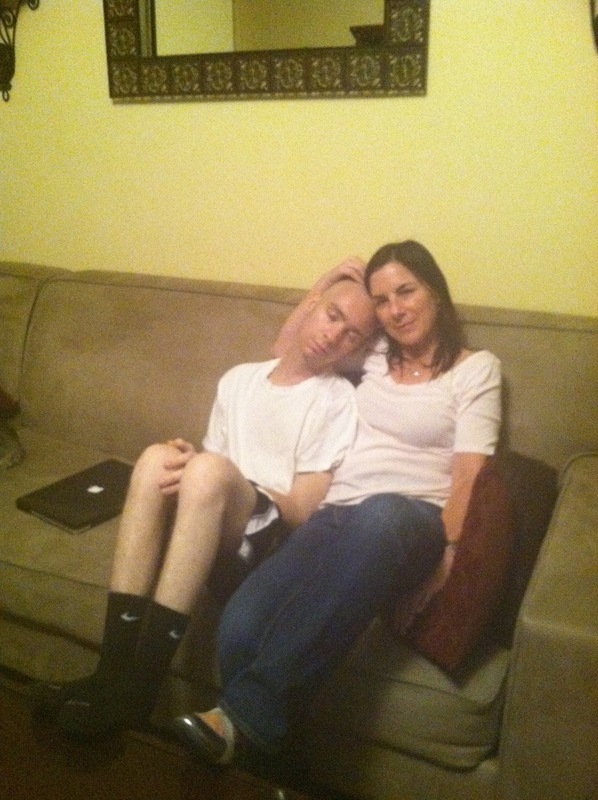 Katie was a mess because her son, Ryan of course, was away at school and not feeling well at all. 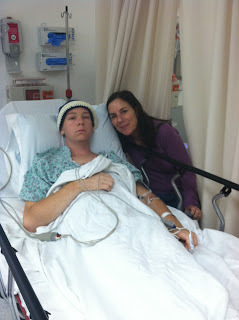 Ryan was having cramps, vomiting and losing a lot of weight among many other symptoms we do not need to discuss. Any parent would be upset at this but there is more to the story that led to Katie’s distress. I write about all of this at my fundraising page but when Ryan was 5 years old, some routine tests turned into the discovery that Ryan only had one kidney and, unfortunately, that single kidney was not functioning so well. This normal boy learned so very early in his life that he had kidney disease and would need a transplant in order to live. At 5, he was too young for the transplant so the surgery did not transpire until Ryan was 8 years old. His Dad was the donor and the surgery went well. One year post operation, Ryan was doing great. He was living a fairly normal life except for all the routine checkups that go with being a donor recipient. He went on to be a normal teenager and went on to high school and was even good enough to play baseball all 4 years (I am jealous Ryan!). After high school, Ryan was accepted to San Diego State where he began college in the fall of 2011. There was some nervousness about Ryan being a few hours away from home given his kidney transplant but Katie had commissioned an army of help in San Diego that was aware of Ryan’s situation and capable of helping. Every two months Ryan would have to come home to Los Angeles for more of those routine checkups to make sure the transplant was all good and that the kidney was functioning properly. All was actually good until the Spring of 2012 which leads us to the Sunday when Katie was upset at practice. 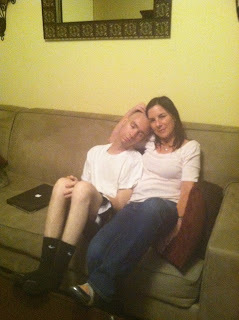 Ryan had been complaining about not feeling well tied to the symptoms I mentioned above (cramps, vomiting, weight loss) but things got worse in April 2012 when Ryan began to vomit blood. This led to Ryan’s first visit to the ER. As you would expect, a lot of tests were performed to determine the source of the blood. No ulcers were initially found. A colonoscopy did not reveal any problems and lastly an MRI was performed but also showed nothing. The source of Ryan not feeling well was yet to be determined. The next step in the process was a capsule endoscopy, which meant Ryan swallowed a small pill that actually contained a camera to record images of his digestive tract. This ultimately led to the discovery of a lot of small ulcers in Ryan’s small intestine. While this was not great news……. it was still news and there was some relief at the mystery being solved. The hope was that the ulcers tied back to the medicine Ryan had to take for his transplant because one of them was known to do so. Ryan was allowed to finish school before dealing with the situation and in May 2012 Ryan completed his first year of college. After this, Ryan came back home but he was not feeling so well. He was still sick. He was still losing weight. He was still vomiting. Because things were not improving, doctors went in and took a biopsy of one of the ulcers and this is when the picture took a turn for the worse. Cancer was the diagnosis. To be exact, it was a form of Non Hodkin’s Lymphoma called PTLD – Post Transplant Lymphoproliferative Disorder. All you need to know is CANCER. At nineteen, having survived a kidney transplant was not enough. To be honest, this diagnosis ties back to the transplant years ago. Less than 2% of kidney transplant recipients get cancer and Ryan unfortunately was one of the few. Cancer knocked on Ryan’s door and all that goes with that diagnosis is still in process as I write this post. My kids are lying behind me on the bed watching Step Up Revolution while Ryan is fighting for his life. 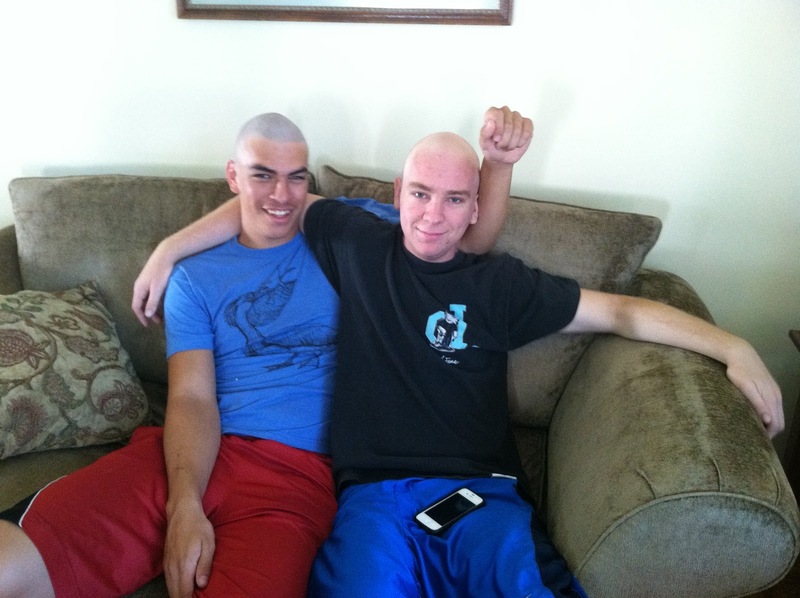 I do not know what you were doing on Friday November 16th but I can tell you Ryan was in the hospital for his 4th round of chemo. As if cancer was not enough to deal with, the chemo actually worked so well initially that it melted the cancer. While this is good in some respects, it caused an obstruction in Ryan’s bowel, which made it impossible for Ryan to eat. Because of this, one of those 12 hospital visits between April and now was used on surgery to remove parts of Ryan’s bowel. I will update you over the next few months as to the progress of Ryan. I will document his story here. I will be his voice. In the meantime, while Ryan goes in for his 5th round of chemo, I will run. While Ryan fights for his life, I will swim and I will bike and I will lift weights and I will work my core so that I might actually finish these 216.8 miles in his honor. Won’t you please join me on this journey and help me reach my $15,000 goal. This is where I need your help. I will put in the miles. I will handle the racing. I will deal with the aches and pains and sweat and tears. I need you to join me though. My goal is lofty but as I said above, I believe we can all make a difference and change the world. Let us change the world together and what better change than finding a cure for cancer. Let’s make sure Ryan knows we care and lets make sure our kid’s kids only get to learn about cancer from the history books. If you would like to make a donation, you can click here or click the link at the top of the page to go to my donation page. As I write this, I am close to $4,100…….$10,900 to go. Whether you can financially assist or not, I appreciate the support more than you know. All the kind words that have come in mean so much and will help drive me to the next 3 finish lines. They are special places because that is where I meet up with my Dad and Isabella. I would like to meet them having completed a successful journey so please consider helping and please help spread the word by sharing this post. Thanks so much for your time in reading more of my long winded prose. Until my next post or until we meet in person next, live your life with passion and go make a difference.